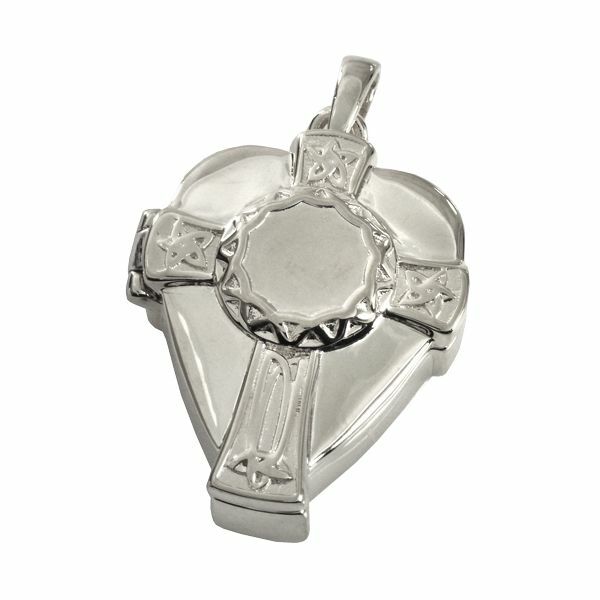 The Celtic Warrior Cross and Shield cremation jewelry pendant is a solid platinum charm with a sterling silver rope chain. 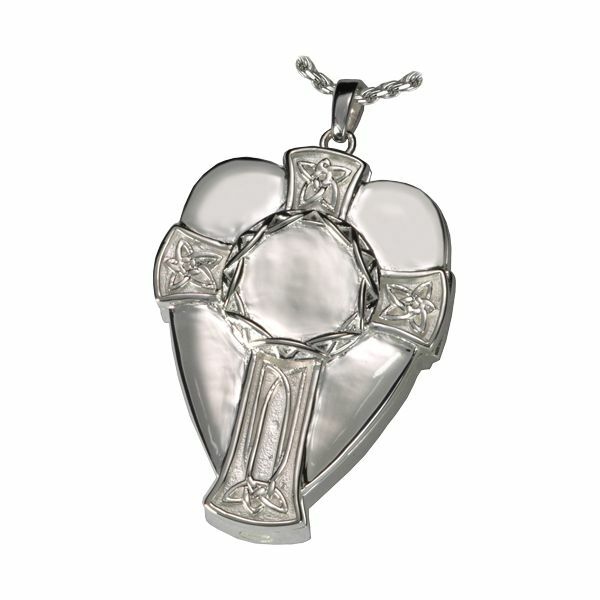 This beautiful cremation jewelry pendant represents the ancient Celtic tradition of laying to rest the weapons with the warrior for protection in the after-life. 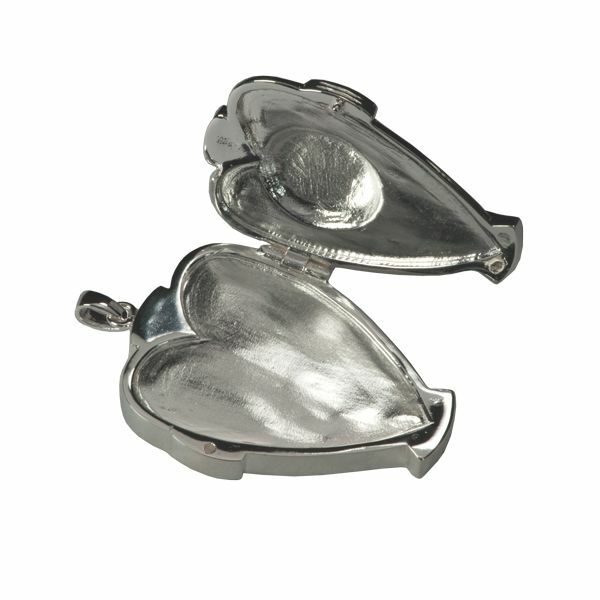 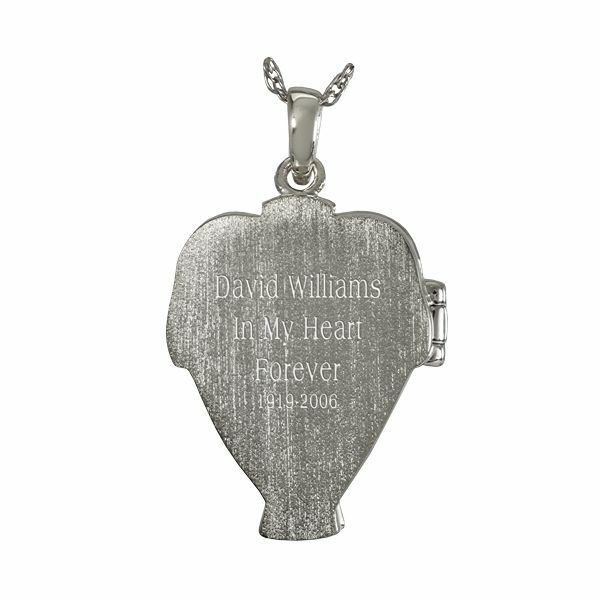 The pendant is designed to open to reveal a photo of your loved one, as well as hold a small portion of ashes, or cremains, a small lock of hair, dried flowers, or earth from a special location. The Celtic Warrior Cross and Shield makes it possible for family members or friends to keep precious and cherished memories close to the heart.